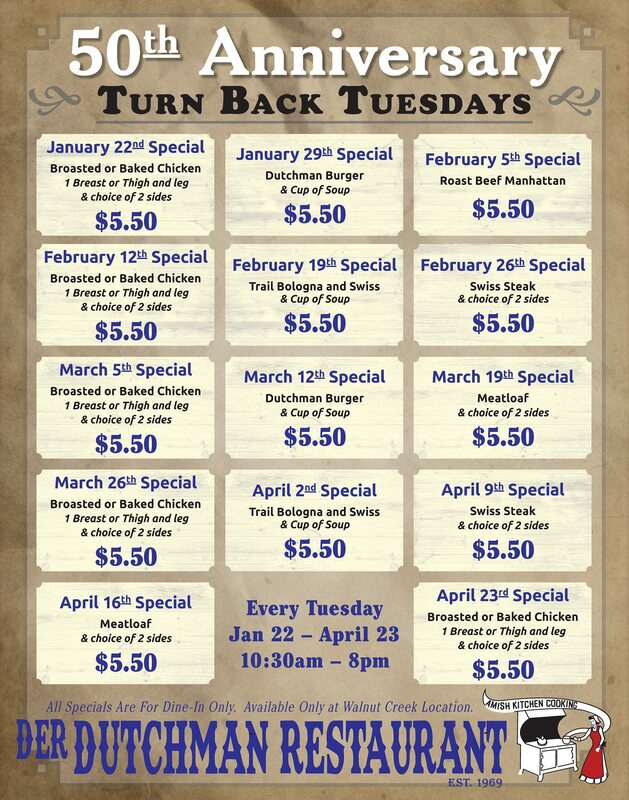 We are celebrating Dutchman Hospitality's 50th Anniversary by hosting "Turn Back Tuesdays!" Bring your family along for a delicious $5.50 meal ...and the kids can even stuff toy animals for only $2.50 from 4pm - 8pm! Join us every Tuesday until April 23, 2019 (dine-in only). See photo for each Tuesday's Special Offer! Walnut Creek is centrally located in Ohio’s Amish Country, about two hours from Cleveland, Columbus and Pittsburgh. 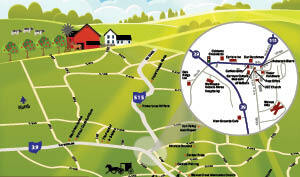 We’re easily accessible by I-77 from the east, Route 30 from the North and Route 62 from the south.